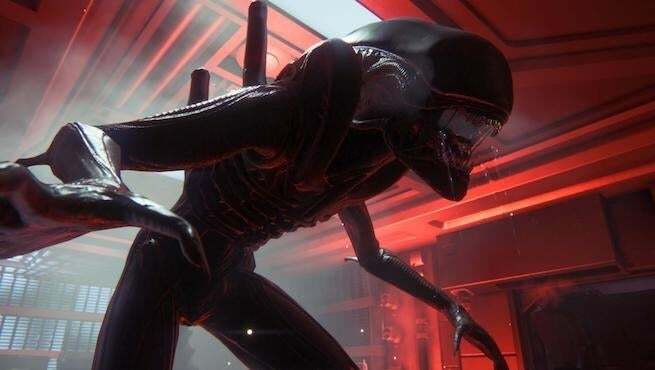 The big news this weekend was the emergence of a new 20th Century Fox video game trademark for Alien: Blackout, which appears to be poised for a reveal next month at The Game Awards 2018. That said, details on the game are currently scarce, but a few employee LinkedIn pages shed a bit of light on the project. While the new 20th Century Fox trademark doesn't divulge who's manning Alien: Blackout, it is presumably Cold Iron Studios, a California-based team that was founded in 2015 and who was revealed to be developing the next Alien game earlier this year. At the time of announcement that Cold Iron Studios was working on the next Alien game, the only finer detail revealed was that it was a shooter. However, since the news of yesterday's trademark, we decided to dig in to the LinkedIn pages of Cold Iron Studios' employees to see if there was any more information about the game to be found, and there was, albeit not a great deal. The most notable discovery is that apparently the game is in development for PC and consoles, but not just any consoles, next-gen consoles. Mention of next-gen consoles can be found on the job description of both Matt Highison's page, the studio art director, and formerly the creative director at Cold Iron, as well as on Craig Zinkievich's page, CEO of the company, and whose job description mentions leading a team to create "next-gen gameplay." CTO Shannon Posniewski's page also confirms that the team is working on a game for "next-gen consoles." Interestingly, Zinkievich's job description also mentions the studio is focused on building "online titles." Given that Alien: Blackout is a shooter, it seems quite plausible that it will be an online game as well, though the description doesn't directly say one way or another, it just mentions what the team is creating in general. Lastly, the aforementioned Highison makes note that the game is being developed on Unreal Engine 4, the commonly used engine from Epic Games. In other related developments, an @AlienBlackout Twitter page has been discovered. It was created back in September and features a profile picture of the "FoxNext" logo, a video game division of 20th Century Fox that Cold Iron Studios is a part of. As always, all information and conclusions here should be taken with a grain of salt. Game development and games change all the time, and the above pages could possibly have old and now incorrect information. Whatever the case may be, it appears we won't have to wait long to know much more as the game looks poised to make its debut appearance during The Game Awards 2018 on December 6.